28/31 John Seal Underamped fantasy lacking in thrills. 40/43 Kim Hollis Immature and childish. I can't imagine anyone over the age of nine watching this and thinking it's good in any way. Andrew McCarthy! Martin Short! Nick Nolte! Wait, is it 1987 again? No, this is just the '80s contingent of the eclectic cast of Mark Waters' The Spiderwick Chronicles. Joining these three amigos is Mary Louise Parker, fairy movie go-to boy Freddie Highmore, and Seth Rogen, who should be a household name by the time this comes out. The film is based on a set of short books for young teens by Tony DiTerlizzi and Holly Black. Highmore plays a pair of twins, much like Lindsay Lohan did in The Parent Trap. I hope this doesn't mean Freddie is destined for a future of exiting limos without underwear. The twin brothers, Jared and Simon, and their older sister, Mallory (In America's talented Sarah Bolger), move into their uncle's creepy New England house, named (not so invitingly as far as I'm concerned) Spiderwick Estate. They discover the place is crawling with fairies, boggarts, goblins, and David Strathairn. 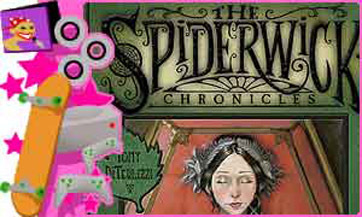 See the latest developments for this project on the The Spiderwick Chronicles Movie News page.